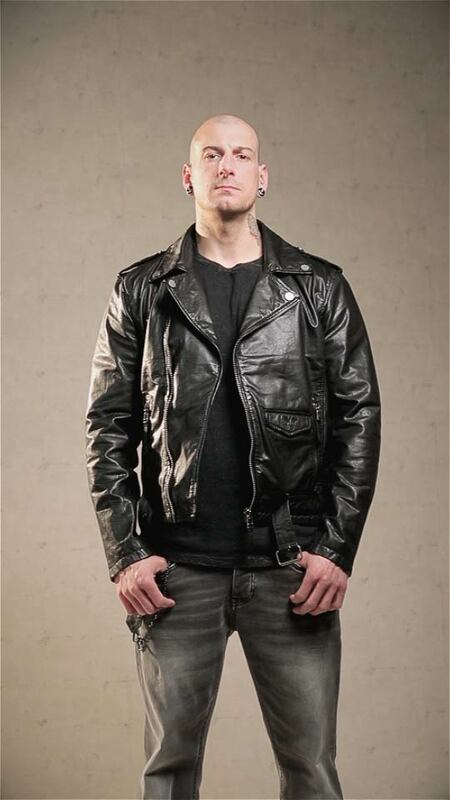 This jacket can only be ordered here: the cool jacket from Black Premium by EMP. Side pockets, inside pockets and a flap pockets provide space for everything. Epaulettes, nifty zips, a waist belt, elbow patches and rivets make this jacket unique. Tell us your opinion about 'The Road Crew'. Boght it for my husbant and he loves it. Good value specialy that I got it on sale. This is a great jacket, lightweight with soft leather. I got this when it was on sale so even better value. It's a great fit. Really pleased with it. Looks impressive. I always wanted a leather jacket. I booked and I hope will not be disappointed. Been after a leather jacket like this for a while and this didn't disappoint. Great quality and sizing. I have a 44"chest maybe a 46 depending on the product and i bought a XL and this fits snugly which is how I would like it to fit. Would greatly recommend if this style of jacket is what your after.